The Rechenbeispiel Hook Rail by Nils Holger Moormann is available in three sizes and presents a very pleasing mix of untreated maple and felt hook ends. 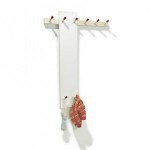 The hooks are magnetic and can be removed and replaced as required, a process reminiscent of the back and forth of the balls on an abacus, a device to which the Moormann clothes rack, possibly, owes its name. 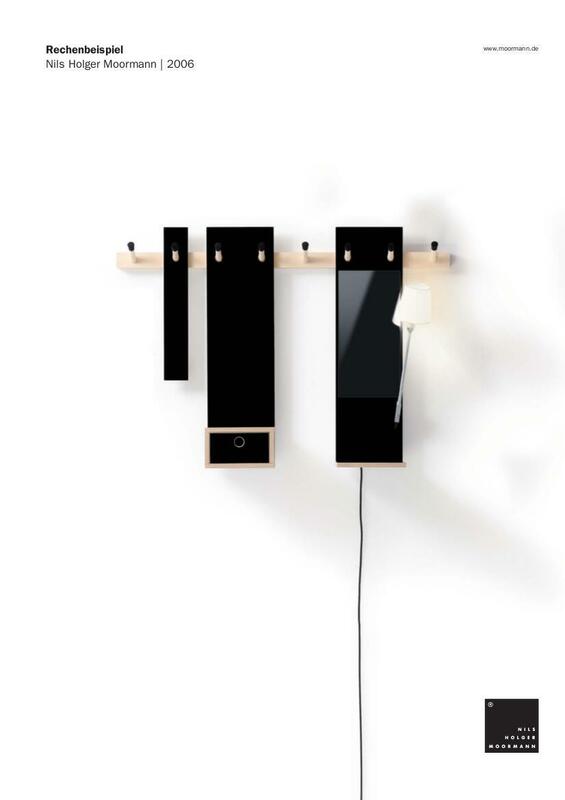 Care To clean the wooden parts, wiping with a damp cloth and a mild detergent is recommended. Certificates & Sustainability The sustainability of Moormann products largely results from the use of natural materials and their processing into durable, often modular, products which offer the user the chance to adapt and modify them as required. For transporting and distribution an emphasis is placed on achieving small packing sizes and only using recycled / recyclable packaging material. Production of Moormann furniture is completed to 90% by regional suppliers thus reducing shipping requirements. Datasheet Click for more information (ca. 0,6 MB). 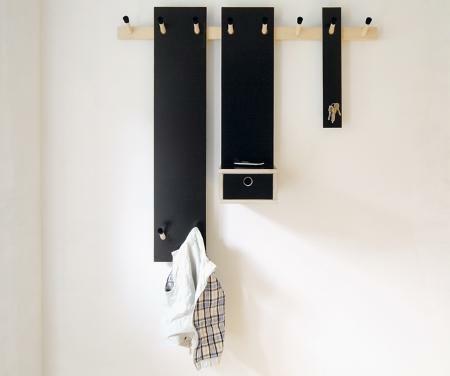 The Rechenbeispiel Hook Rail by Nils Holger Moormann provides ample space for jackets and coats and is an aesthetic addition to any entrance area. To the backboard of untreated maple attach magnetic hooks, the ends of which are protected by, and protect through, coloured felt. 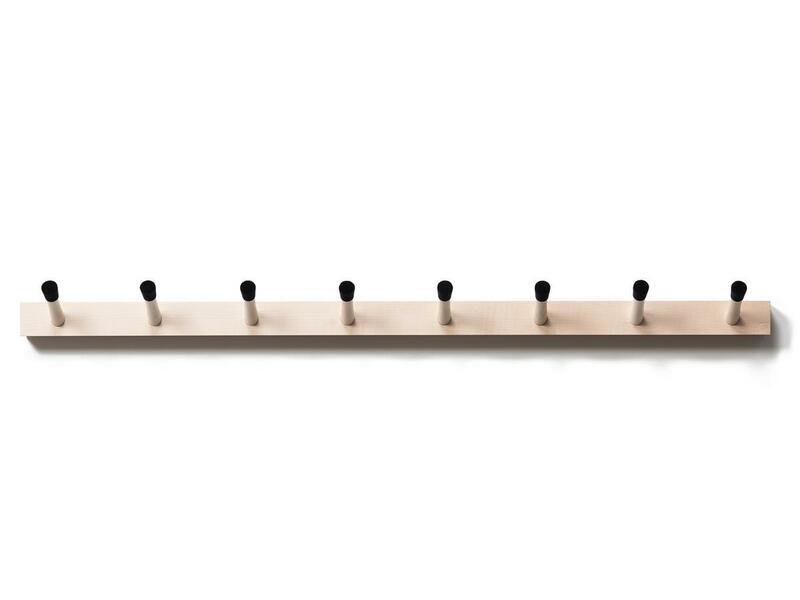 The hooks can be easily removed and exchanged, a process reminiscent of the back and forth of the balls on a traditional abacus; an object to which the Moormann coat rack, possibly, owes its name. 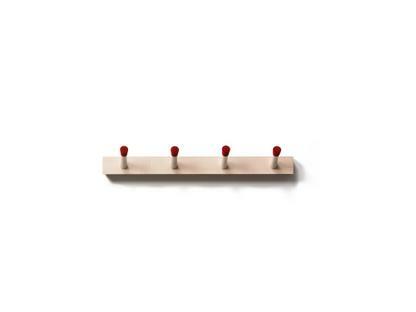 The Moormann Rechenbeispiel coat rack is available in three different sizes and can be extended with numerous accessories, for example, the Rechenbeispiel Children's Coat Rack or additional Rechenbeispiel Hooks. Nils Holger Moormann established the eponymous company in 1982, and today they have their headquarters in the Bavarian village of Aschau. In addition to its own creative department, Moormann also work with young, establishing, designers and thus offers them a platform. A central feature of the Moormann philosophy is sustainability, thus only natural materials are used in the production, a production which takes place to 90% through suppliers who are located within 30 km from the Moormann headquarters.